Autumn is one of our favourite seasons. Especially because of ripe fruits in the gardens, fresh grape in the vineyards and other amazing delicacies! Dry, sunny and warm weather with no wind (in US known as Indian summer) is in Slovak called „babie leto“. This name can be roughly translated as Beldame summer due to resemblance of small spider nets in the air to an old lady’s hair. Although we love Autumn warm and sunlit days, we can appreciate rainy days cuddled in a blanket, too. Moreover, colder days are superb for a hearty cuisine like ours. Are you coming to Slovakia this time of the year? 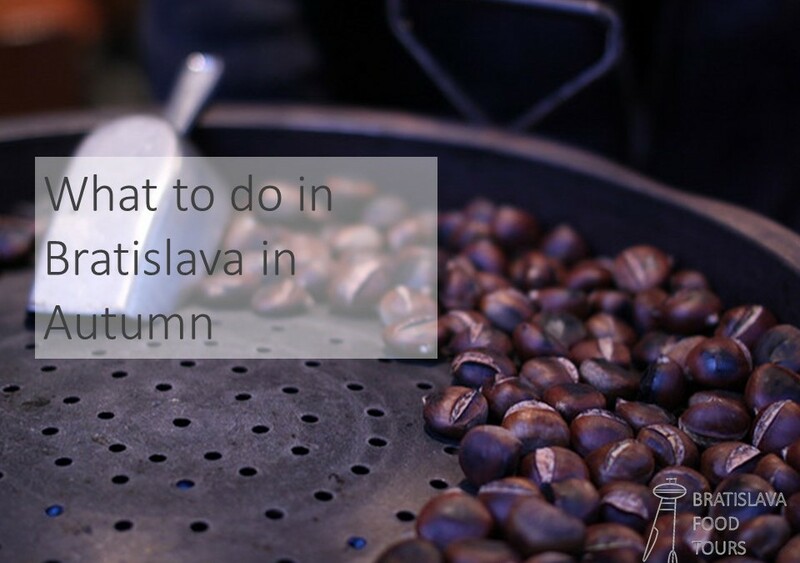 Here are some useful tips for what to do in Bratislava in Autumn. So what you definitely shouldn’t miss on your Autumn trip to Bratislava? 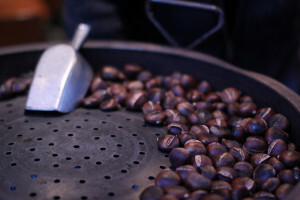 Despite being easy to make at home, eating mouth watering roasted chestnuts sold from a stall in Bratislava has its unique atmosphere. Holding a pleasantly hot package in your hands instead of gloves, having trouble opening each chestnut separately and smelling the chestnut air in the streets of Bratislava is definitely a memorable time for both young and old. Stalls selling chestnuts can be usually found in Kamenné námestie 1, Hviezdoslavovo námestie (close to the Old National Theatre) or at the beginning of Michalská ulica (close to the Námestie SNP). 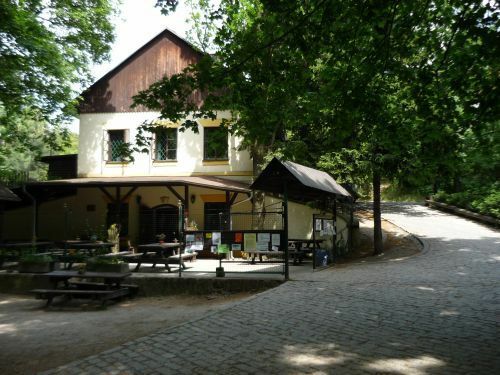 In Autumn you can spot a migration of people from Bratislava to nearby villages. Reason is quite simple and definitely tasty – yummy scrummy roasted geese served with potato pancakes (lokše) and stewed cabbage. Here, divine goose liver is often served as an appetizer. Over a hundred-year-old custom of breeding geese and ducks originates from Germany and Austria. In Slovakia, villages situated in south of Slovakia with enough drinking water suceeded in this tradition and Slovaks chose the villages that still have the best geese and ducks – namely Chrovátsky Grob and Slovenský Grob (app. 20 km from Bratislava). That’s where whole families, work colleagues and friends travel on weekends or on regular workdays in the evenings in September – November. You order a single portion or a certain multiple of half a goose (1/2, 1, 3/2, …), pour it down with white wine from Small Carpathians region and enjoy the health benefits of this lovely southern Slovak tradition. Count with 25 – 30€ p. p. without drinks. We recommend to reserve well in advance in one of those family owned places: Husacina u Galika, Husacina u Gaštana, Zelený dvor, Grobský dvor, Pivnica u Zlatej husi. Situated in geometrical middle of our capital, Bratislava has its own Central Park. With a size of more than 22 hectares, Horský park was „founded“ in 1868. On your way there definitely do not miss a walk through old and glamorous residential area. In the park you can jog, sit on the bench and enjoy some fresh air or even try authentic local cuisine. 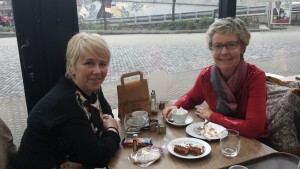 Definitely do not miss Horárnička, small cosy café serving best Bratislava rolls. Ehm, wine. 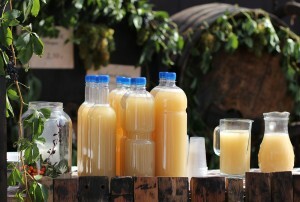 In Autumn Slovaks tend to drink not only young wine, but also burčiak – partly fermented freshly pressed grape juice, typically with 1 – 4% alcohol content, also known as Federweisser. Although burčiak has its lovers and haters (especially those with weaker stomachs), we are definitely on the lovers side. 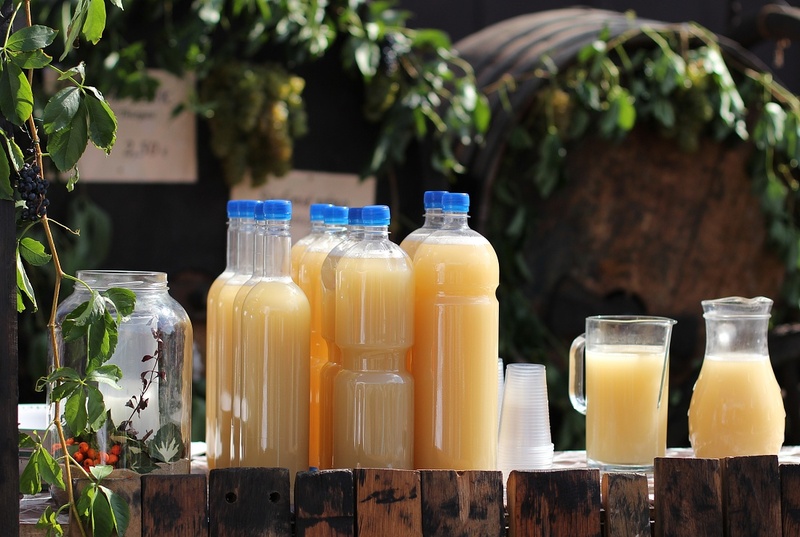 Especially western Slovakia is known for wine production and at the beginning of September, when all the local feasts take place in various districts of Bratislava – Rača, Karlova Ves, Devín or nearby cities – Pezinok, Modra, burčiak is one of the most commonly drunk beverage. 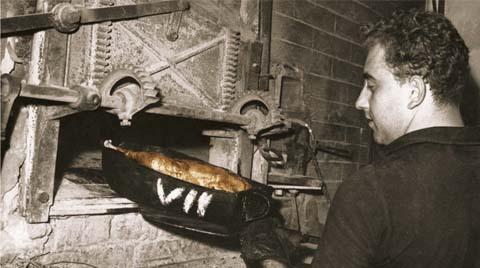 Harmony between sweetness and yeasts is the aim of talented producers and lasts only for couple of hours. You can drink burčiak on its own or try it with some of our incredible local cheeses. Useful hint for the ones who take burčiak home or to the hotel in plastic bottle – keep it partially open and definitely do not shake the bottle as burčiak can explode. We’ve been there, believe us. Hearty Slovak cuisine is ideal company for a colder Autumn days and Bratislava is the place to be. 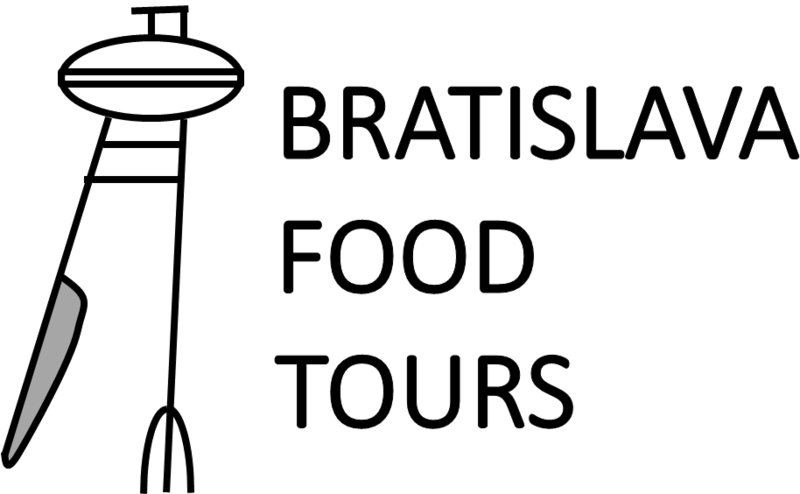 Join our Traditional Food Tour and give our amazing cuisine, culture and history a try!